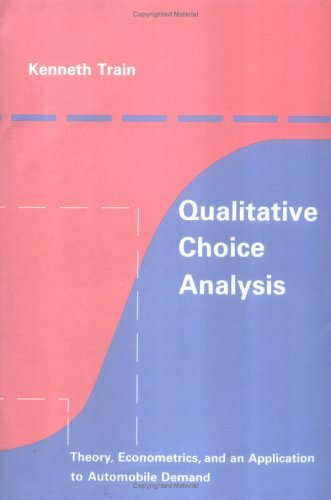 This book is a comprehensive but concise text that covers the recently developed and widely applicable methods of qualitative choice analysis, illustrating the general theory through simulation models of automobile demand and use. It is also a detailed study of automobile demand and use, presenting forecasts based on these powerful new techniques. This book covers the most basic concepts in econometrics. Subjects as basic probability and statistics, statistical inference with the simple and multiple regression model, dummy variables and auto correlation are explained. CGE framework encompasses both the I-O and SAM frameworks by making demand and supply of commodities and factors dependent on prices. A CGE model simulates the working of a market economy in which prices and quantities adjust to clear all markets.